In a 3 item set (n = 3) there are 6 permutations (given by the formula n(n - 1). Why does music only talk about 3 inversions of a triad (a 3 note set)? Is it because the unmentioned inversions span more than an octave? Thank you - This topic answers questions which i was researching for a long time. The reason is that it is only the note at the bottom of the chord that designates the inversion. The other two notes can be in any order, and in any octave. If they are all within an octave the triad is in closed position, if they are outside of an octave the triad is in open position. When the chord is in a closed root position the notes are a 3rd apart and we can label them as the 1st, 3rd and 5th notes of a scale. You can tell a chord is in closed root position because all the notes are either on lines, or all in spaces. If the 1st is at the bottom of the chord it is in root position. If the spacing of the notes is more open over different octaves it is still in root position because the 1st is at the bottom. When the 3rd is at the bottom the chord is in 1st inversion, no matter what the order of the other two notes and then the 5th is at the bottom the chord is in 2nd inversion, no matter what the order of the other notes. 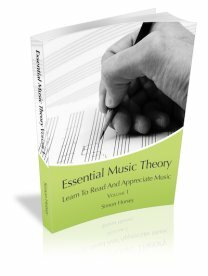 This is true no matter whether the triad is just 3 notes or if it has some of the notes doubles and spread over a piano keyboard, SATB choir or even a whole orchestra. To find the inversion of a chord look for the lowest note. Hope this has made things clearer!